Aaahh, March. I love March! Not only is it my birthday month, but it is also the beginning of spring, a time when beautiful flowers are budding and blooming. The flower I look forward to seeing the most and which always brings a smile to my face is a daffodil. Those yellow flowers are like little trumpeters heralding the beginning of spring. We have a lot of things blooming here this month too. March looks to be another stellar month. 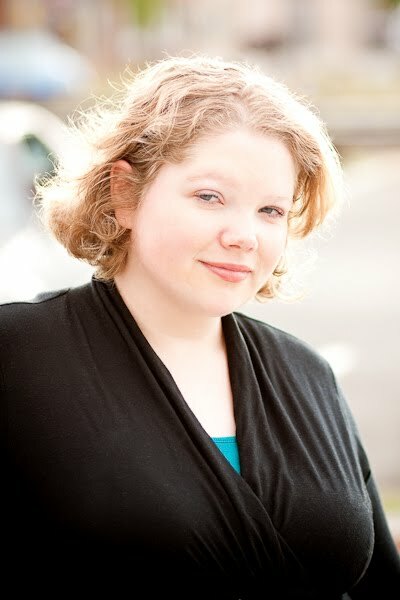 We start March off with a guest blog by author Ashley March on Tuesday, March 1. Ashley will be discussing her month-long March Madness celebration on her website. Get your pen and paper ready for Friday, March 4 as Andrea will surprise us all with the massive list of new releases this month. I’m always shocked at just how many new releases there are. On Monday, March 7, Julie Ann Long guest blogs with us. Her latest release, What I Did For A Duke, which was released on February 22, 2011, has received raved reviews everywhere. Anne Mallory guest blogs on Tuesday, March 8. Anne’s latest book, One Night Is Never Enough, was released February 22, 2011. Don’t you love that title? Andrea gives us a sneak peak of April releases on Wednesday, March 9 in her Make Your Reservations blog. Want to know the latest in YA news? Then be sure to stop by on Thursday, March 10 when Trish Milburn fills us in everything YA. Bring out your fan and a frozen drink because you will need it on Tuesday, March 15 when Buffie shares her latest Hot Dish selection. On Thursday, March 17, Emily March guest blogs with us. Emily’s latest book, Angel’s Rest, was released February 15, 2011. Gannon interviews Kensington debut author Bronwen Evans on Friday March 18. Bronwen’s debut, Invitation to Ruin, was released on February 22, 2011 and is a gritty, sensuous Regency romance. We will share several book reviews in our month Stock-up Saturday blog on Saturday, March 19. Anna Campbell’s Second Helping book reviews are always a hit! Be sure to stop by on Thursday, March 24 when Anna shares with us the book that has her attention this month. And as always, we will have plenty of reviews and giveaways throughout the month. Wow, so much to look forward to in March. March sounds busy & pretty amazing. Whoo Hoo another fantastic month ahead and I too love March but because it is the start of autumn here in Oz when the leaves start to change colour and the weather cools down LOL. March is also the month that we are having The Australian Romance Readers Convention and I am soo looking forward to being there. Looks like March is going to be a wonderful month - and not just because it's my older daughter's birthday on the 23rd! My wedding anniversary is in March, so I love March, too! And this looks to be a good month at The Romance Dish! Great line-up, as usual, for the month of March. Always look forward to what you have in store for us. Sounds like a great month ahead. Yes, Trisha, it will be another great month here!! A wonderful line-up! My birthday is in March,too! The 16th, when is yours? Hey Jane! We do have a lot going on this month. Hope to see you around a lot! Marybelle, March is always amazing. I mean, it *IS* my birth month - LOL! Hi Margay! So another March birthday, huh? It truly is a lovely month. Thanks, Pat! Doesn't really matter what month we are, we always seem to have a great time here. Hi Connie! Let's not even mention the calendar, okay? See, I have been slacking on my calendar at home and really, REALLY need to get it updated. Okie, Andrea's list is must every month. Thanks so much, Karyn & Virginia! I'm looking forward to another great month here at TRD!! A great line up as usual! :) Looking forward to March! March is going to be so much fun thanks to you! Last Call for Julianne MacLean winner! After Dark with a Scoundrel winners!